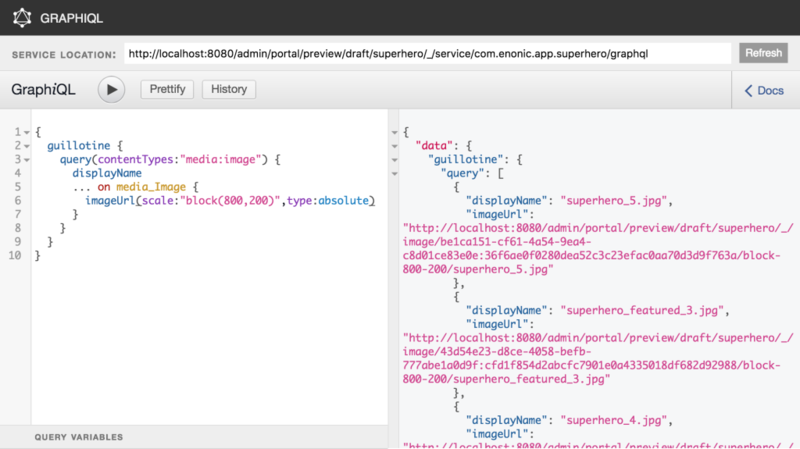 Guillotine adds a powerful headless CMS GraphQL API to existing or new Enonic sites. Access the content from any device or client. 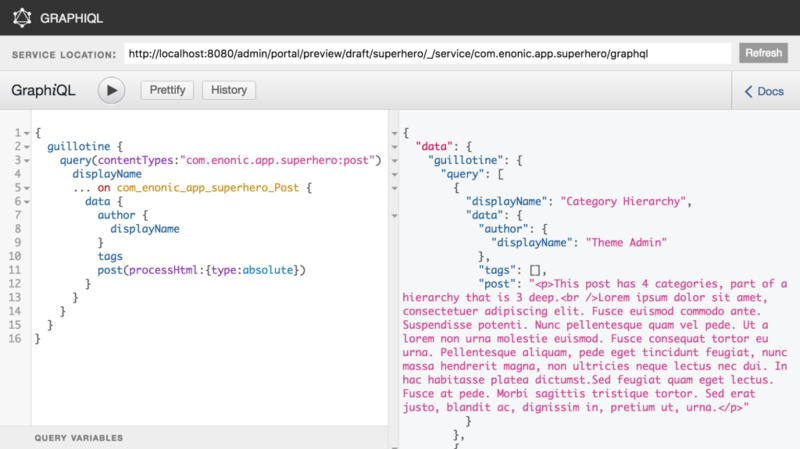 Guillotine builds on the powerful Content Type system and CMS capabilities of Enonic XP. Simply create a service and call this library and it will automatically expose a powerful API specifically matching your site and application. This gives you instant access to all editorial content available in the site. The API can further be used by virtually any client - including iOS and Android apps, smart TVs and smart watches, and naturally also modern web-based sites and applications. 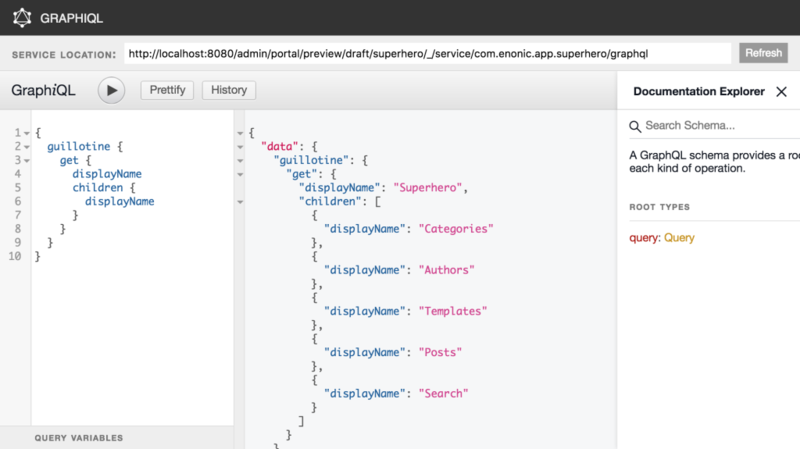 The GraphQL API is fast, self documenting and easy to use for everyone. Landing page editor (if needed) and much more. Rolling out changes and handling consistent behaviour between your content and applications has never been easier. Developers define and deploy content types safely using XP apps. This means support for continuous delivery and modern development processes. Applications may even process, import or manipulate content on deployment. The combination of capabilities makes Guillotine one of the most potent Headless CMS solutions on the planet!